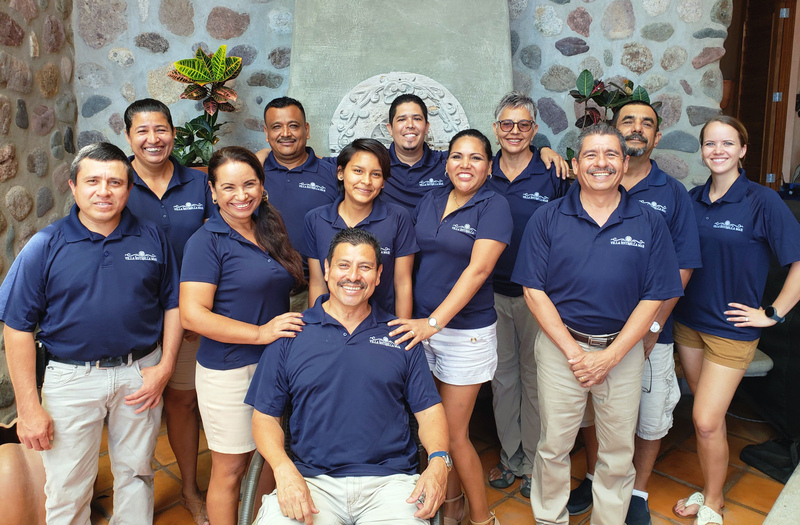 Our friendly staff of 12 is here to make your stay amazing. 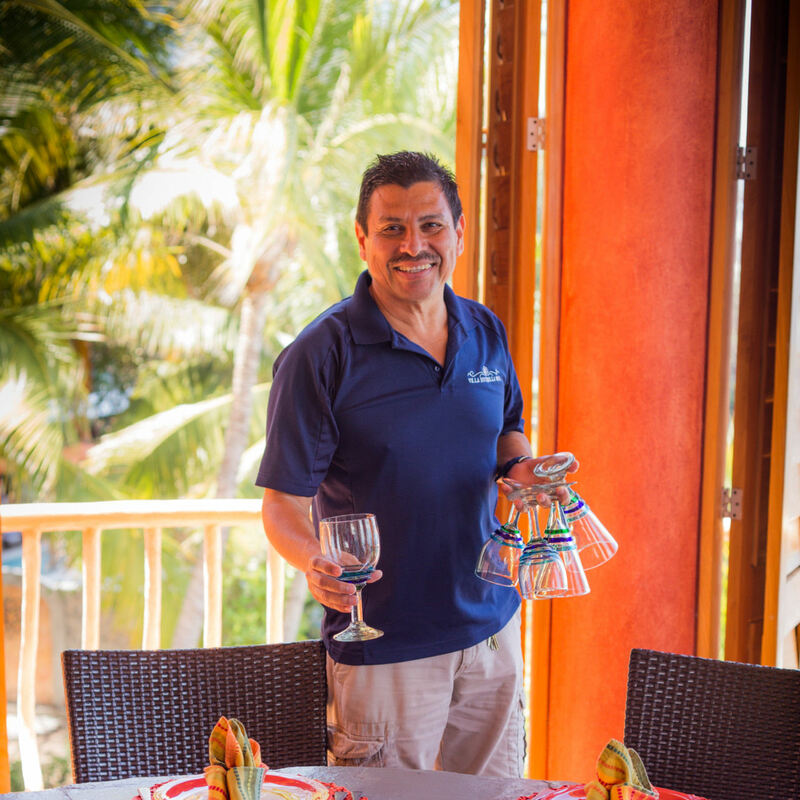 The Villa’s head Houseman, completely fluent in English and meeting your every expectation. He can make transportation arrangements, help make restaurant and tour reservations, purchase groceries, serve meals, you name it! 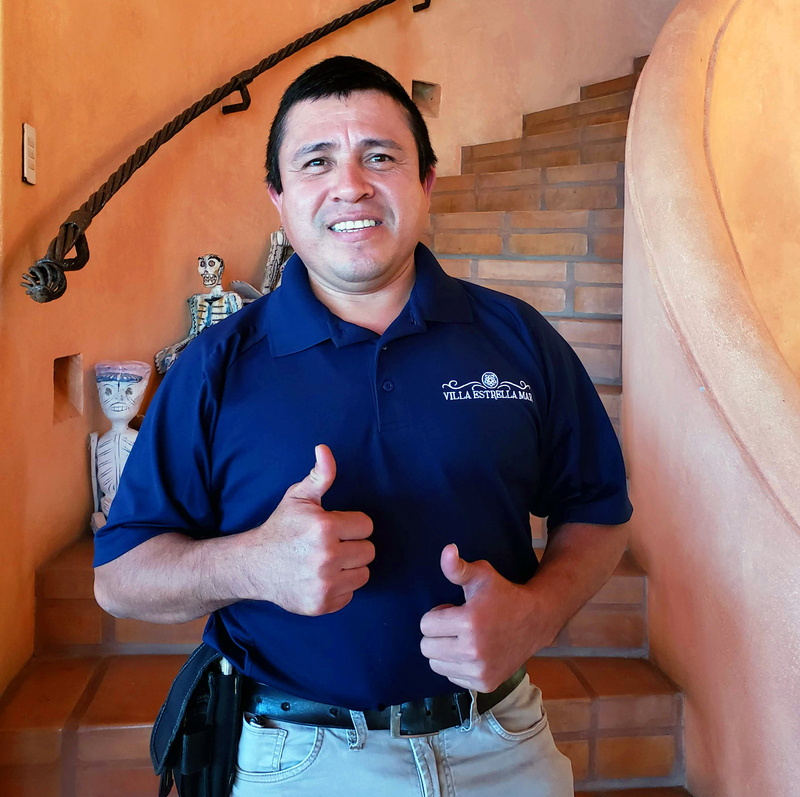 If you need help with anything, Paco is your go to guy! Assistant Houseman, fluent in English as well, who happens to also know how to make flaming coffees! 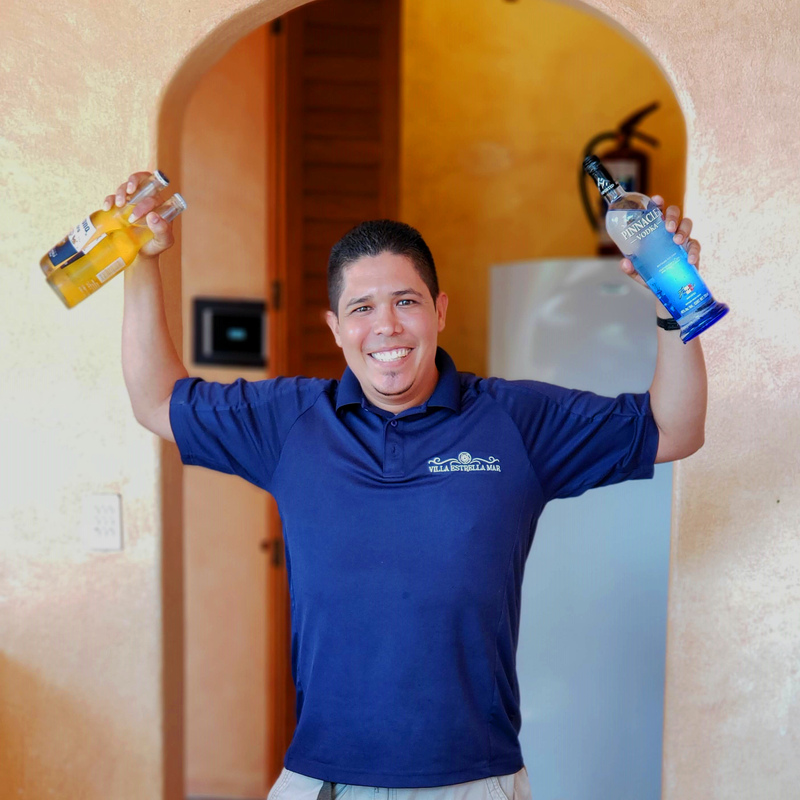 He also can assist in making any needed reservations, shopping, and will serve you poolside margaritas and anticipate any need you may have during your stay. 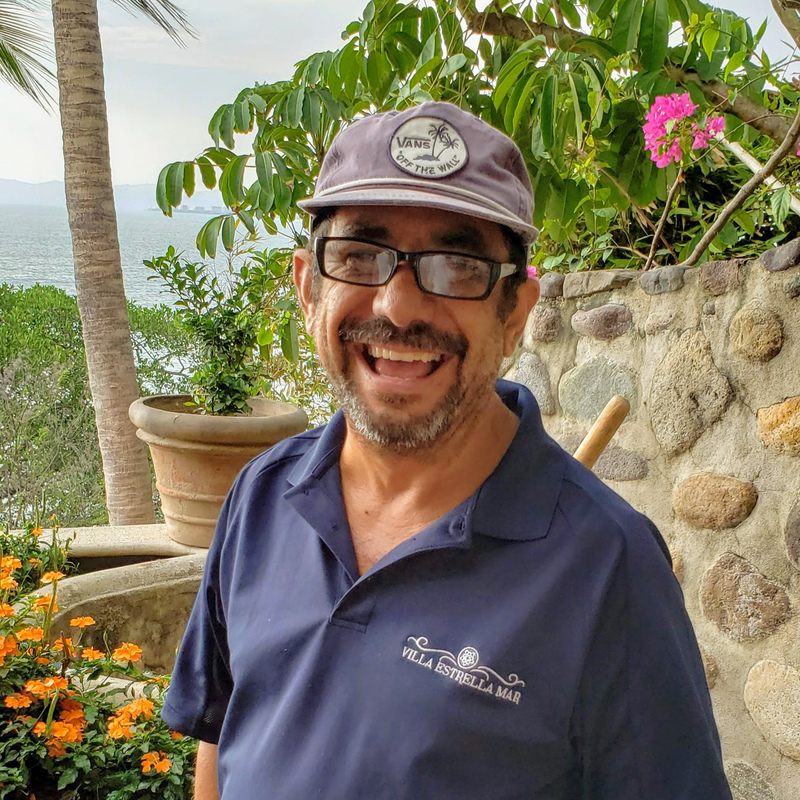 In charge of handling all local administrative elements of running Estrella Mar as well as coordinating all maintenance projects at the villa. 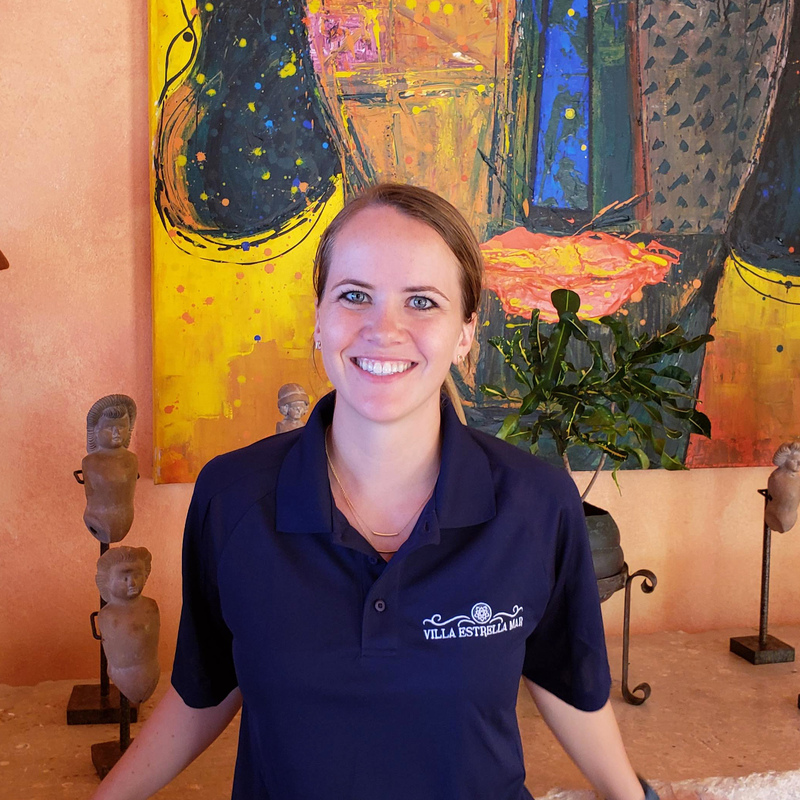 She will be at the property as needed so you may or may not see her during you stay but we can ensure she is working hard to make sure your trip runs smoothly. 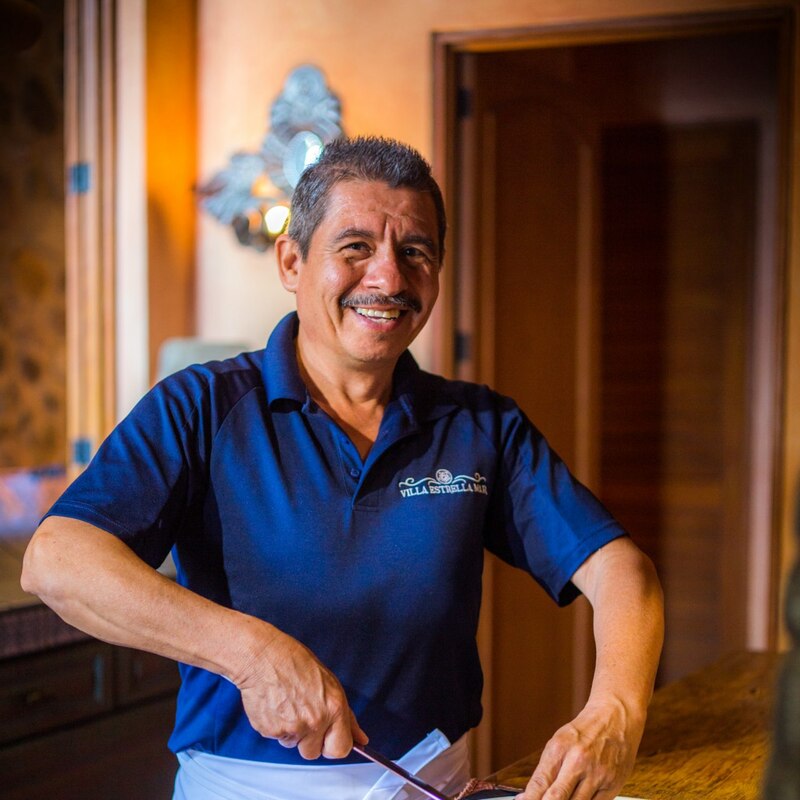 Our Villa is complete with our 5 star chef Lupe. Select items off our extensive menu or challenge him to make your favorite dish. The meals he prepares are sure to delight and some say they are better than any of the restaurants in town! Our Assistant Chef with the biggest smile and some of the best French toast and homemade desserts around. Lola assists Lupe in the kitchen to make sure your meals meet (and exceed) your expectations. They can handle any dietary restrictions. Senior Toro is the “MacGyver” of our Villa. He can fix anything and everything from plumbing to electrical. 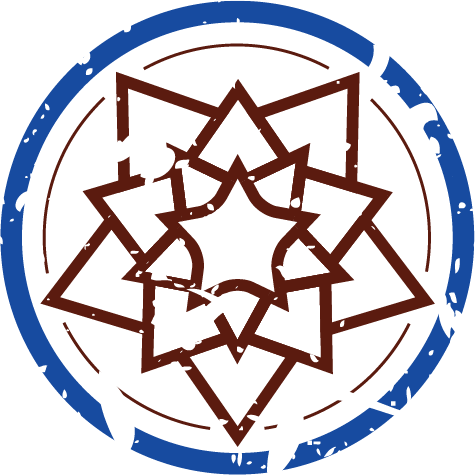 If you notice anything during your stay that needs attention be sure to alert our staff so it can be taken care of immediately. 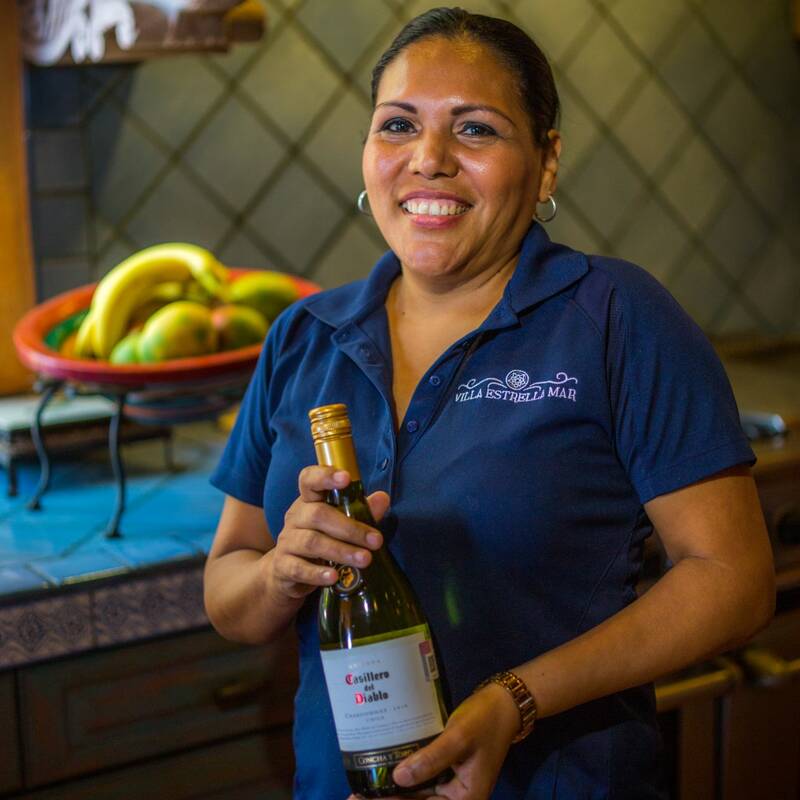 Ana works as the head maid at Estrella Mar which is no small task with a property of over 20,000 square feet. She makes sure your rooms and rest of the property are clean and will also do any laundry. 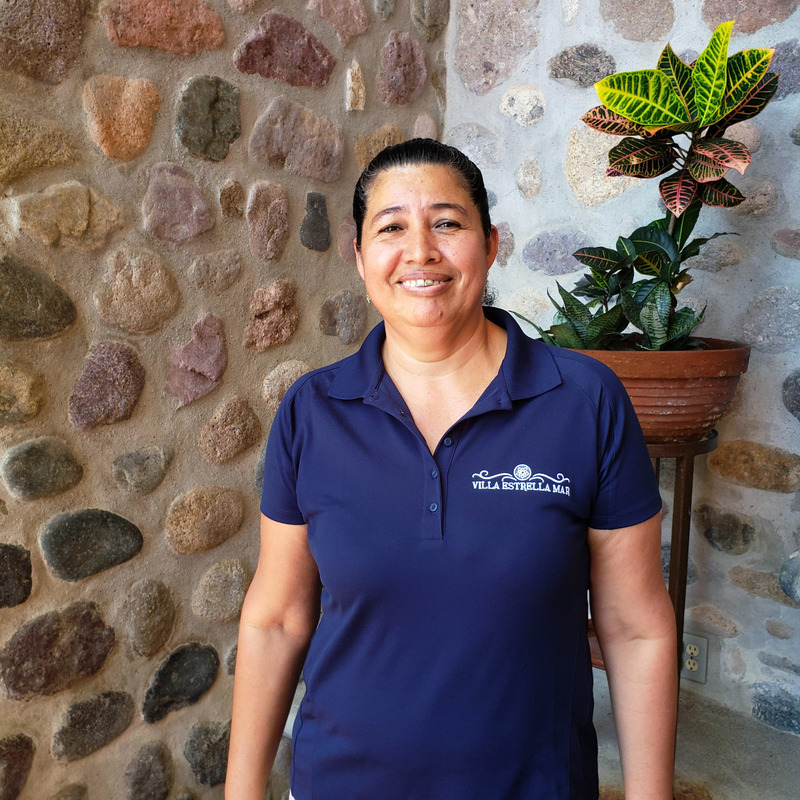 Paty is the assistant maid at the Villa who helps Ana make sure the property is clean for you. 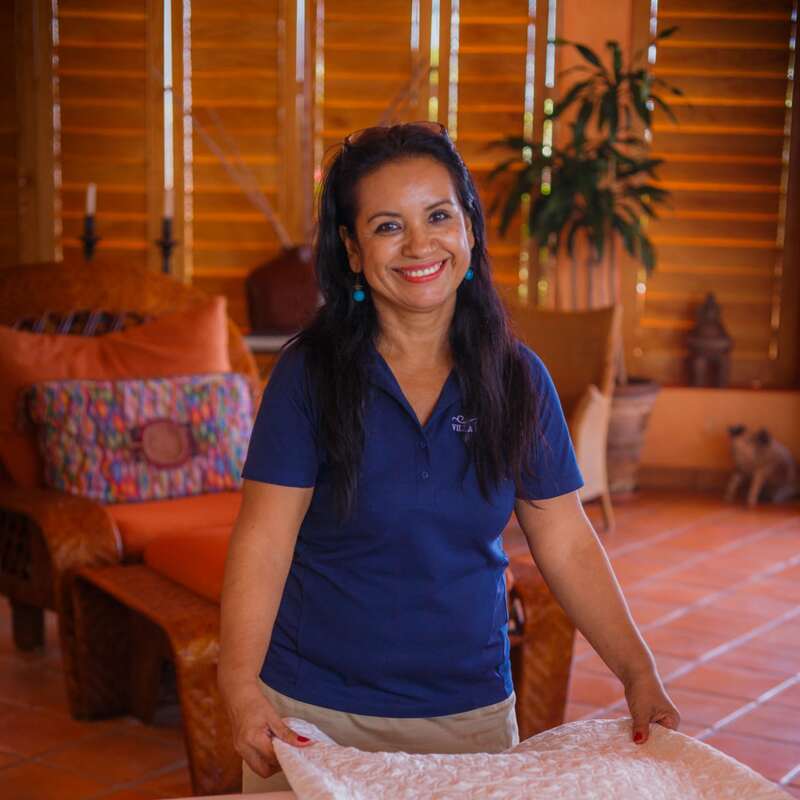 From making beds, to doing laundry, Paty stays busy to ensure our property is in great shape. 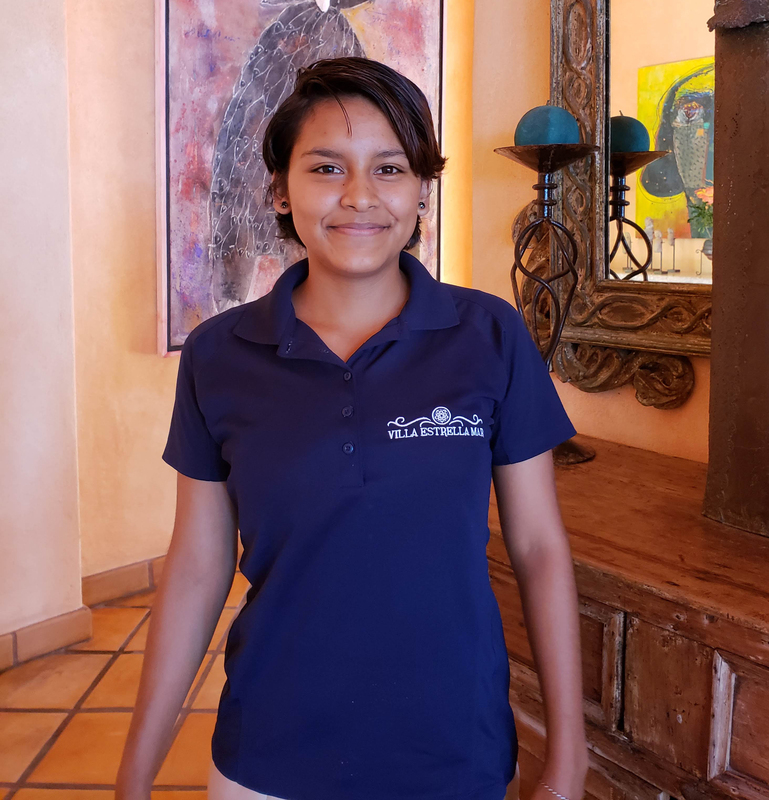 When we have guests at the property, Vivi is there to assist our staff in any way she can, taking your bags to your rooms, sweeping, doing dishes, assisting with laundry, you name it, she is there to help. 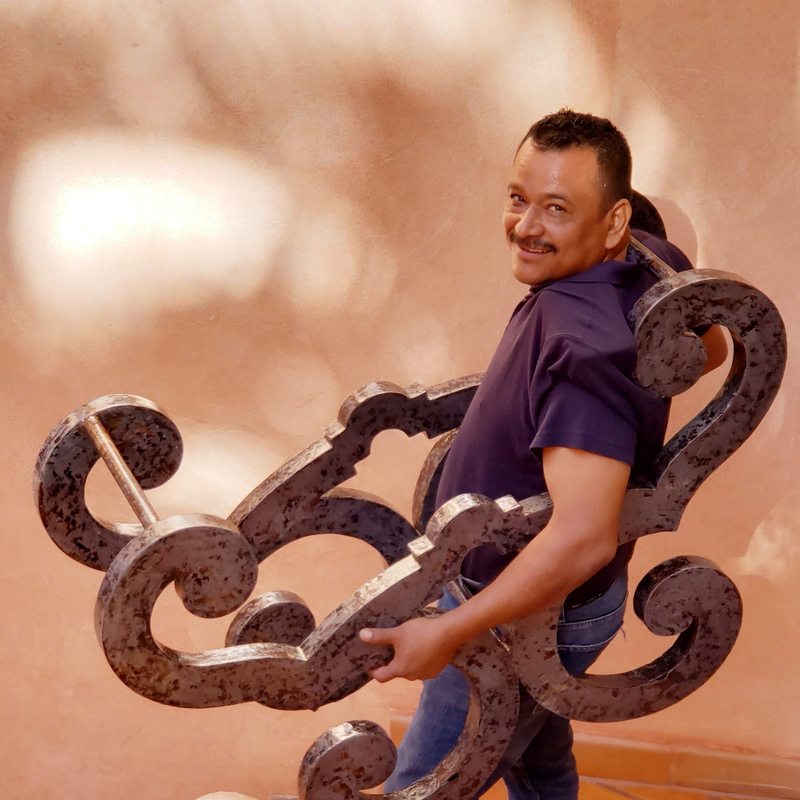 Our English-Speaking Night Watchman who maintains the security of Estrella Mar while also excelling in guest requests, whether it be carrying you luggage to your room, calling a Taxi or late night snacks in the kitchen. Our second Night Watchman who you may never see due to his hours but keeps the property safe secure. 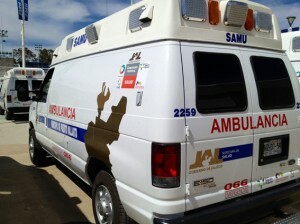 There is always one nightwatchman on site from 7:00pm to 7:00am should you need anything late in the evenings. Though you likely won't run into her during your stay at the villa, Jordan handles all the reservations for the Villa. 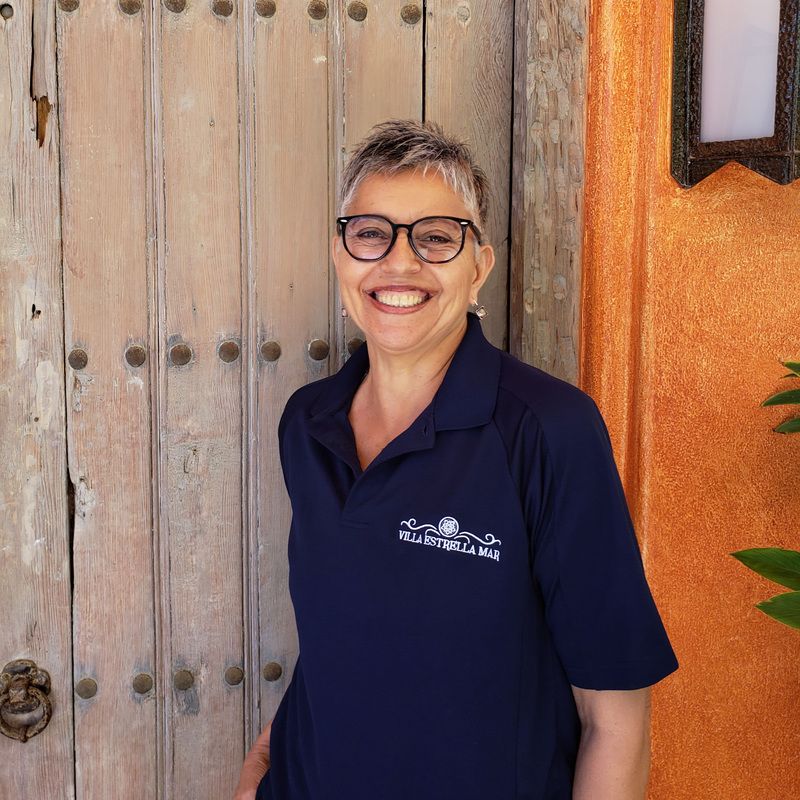 She is your point of contact from the moment you inquire and will answer any questions you have, help you book, and make sure the staff is ready for your arrival. 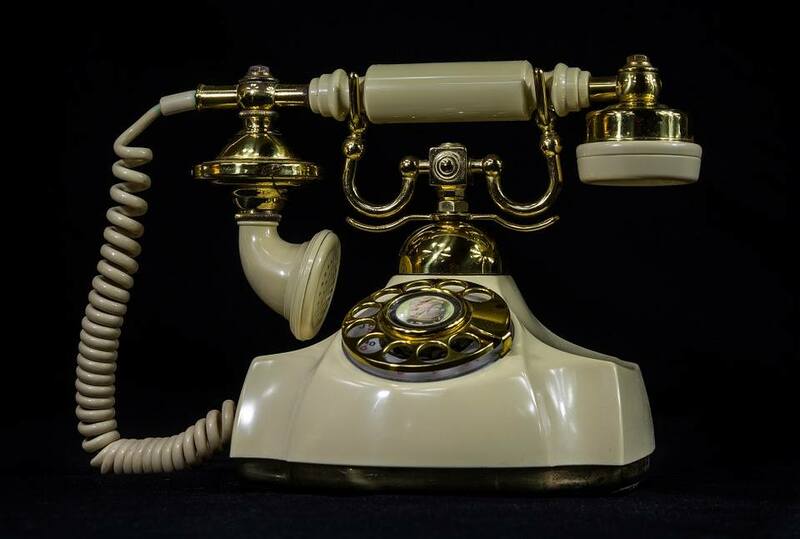 What to buy... and how to know if you are getting a good deal.